KORLOY has launched a diamond-coated drill - the MSD Plus CFRP optimized for Carbon Fiber Reinforced Polymer machining. The increased use of CFRP for weight reduction in the automotive and aerospace industries requires the development of applicable grades and tool design for machining this extremely strong material. Specifically, CFRP materials create burrs around the drills holes entrance and departure points; while also causing rapid wear of the drills used. The MSD Plus CFRP can reduce the amount of burrs generated during hole making due to its two-stepped point shape. The new diamond-coated grade ND2100, improves wear resistance and durability. 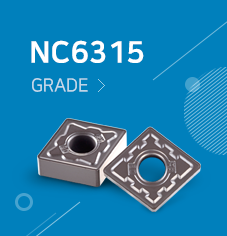 These facets improve tool life and machined workpiece quality. We can proudly say KORLOY's MSD Plus CFRP is the ideal tool for highly efficient and high-quality CFRP hole making.